WATERVILLE VALLEY, NH – The six-campus Granite United Church has never rested when it comes to spreading its message and touching lives. 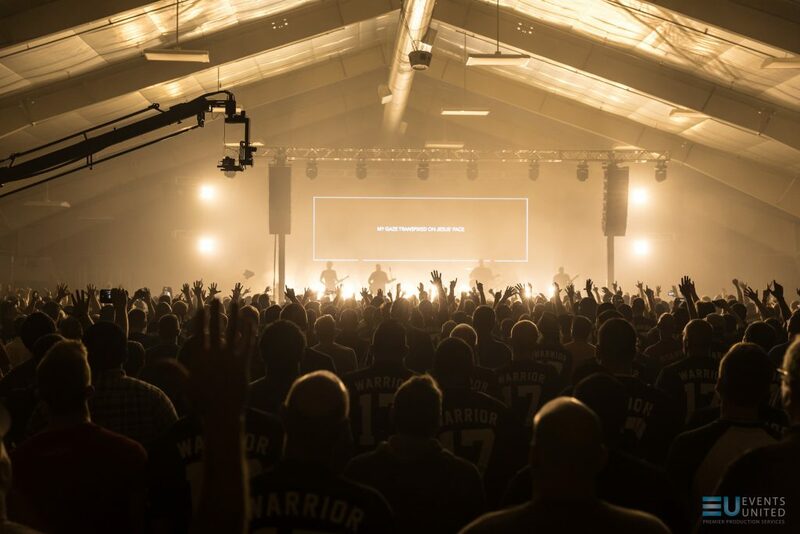 By 2014, its three day Warrior Conference for men had already established itself as one of the largest religious gatherings in the Northeast, but the church was looking to make the event even more relevant. 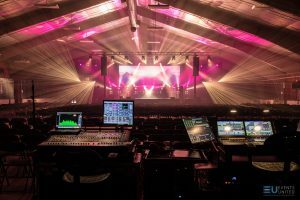 With this in mind, it broke with a 16-year tradition of doing its own lighting, audio, video, and staging and retained an outside production company, Events United. 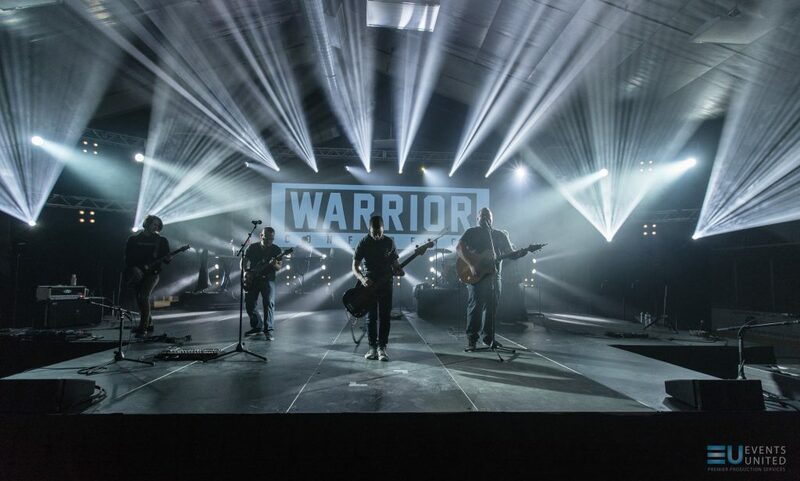 After seeing how the professional work by the Londonderry, NH production house infused the conference with an extra degree of motivational power, Gregg Dicecca, the church’s Creative Arts Pastor, approached Events United about taking things a step further by creating a coordinated lighting and LED video production. 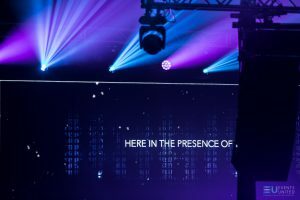 In early June, this vision came to pass with a transformative production that featured an extensive collection of CHAUVET Professional fixtures and video tiles. Events United sized the center video wall to fit the stage at the conference’s rented venue, the Waterville Valley Ski Resort. Jon Martell, the company’s lead video engineer, created a mask for the church’s video team so they could develop content to fit the wall. Brightness of the high output panels was dialed down to about 15% to balance them with the lighting. Anchoring the lighting part of the production was a collection of Maverick moving fixtures. Events United used six Maverick MK1 Hybrids, four Maverick MK2 Spots and 12 Maverick MK2 Washes. 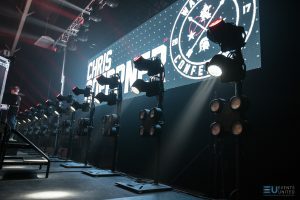 Messina and his team flew the Maverick Hybrids along with four of the MK2 Washes across upstage truss to provide back lighting and to texturize the stage. The remaining eight Maverick Washes in the rig were positioned downstage and performed as stage washes as well as blinders at the end of the conference. “We used them to add extra energy to the last song,” said Messina. Music was an important part of the Warrior Conference. Serving as a backdrop for the band was a collection of 20 Rogue R1 Wash moving lights and 10 STRIKE 4 multi formatted fixtures. The Rogues and STRIKE 4s were placed on 10 pipe uprights, each 5’ high, positioned along the back of the stage. 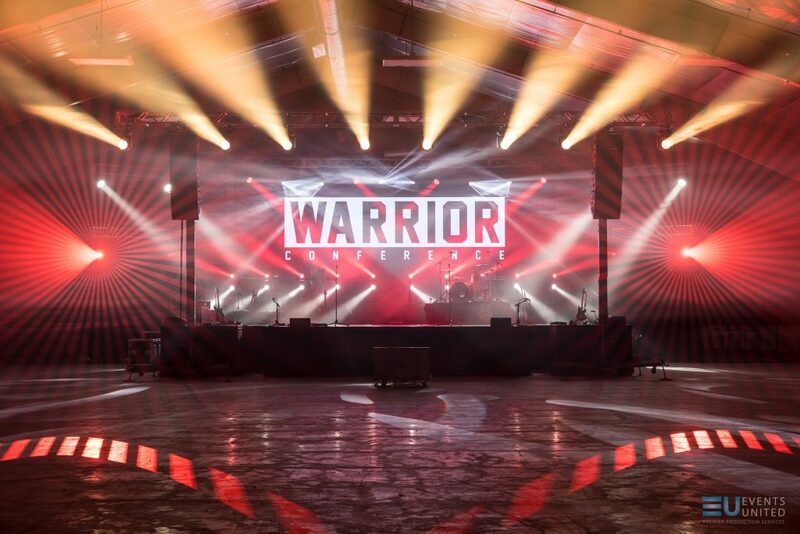 Given Granite United Church’s track record of constantly looking for new ways to improve and reach worshippers, it’s safe to assume that it’s also a sight that will be repeated and enhanced at next year’s Warrior Conference.